Discover how to make the lip-smackingest, mouth-wateringest, crowd-pleasingest ribs ever! Just in time for the season of grilling! Stew will talking meat on May 22 with BBQ master Steven Raichlen! And check out Steve’s new book. There’s no denying that ribs are an American obsession. Meat just tastes better on the bone, especially one you can hold in your hands. And there’s no one better to give us a crash course in grilling, smoking, spit-roasting, and even deep-frying ribs than Steven Raichlen. In BEST RIBS EVER, the updated and expanded edition of his classic Ribs, Ribs, Outrageous Ribs, Raichlen includes how to properly set up a grill and what tools to have on hand (even how to make grill-quality ribs indoors!) He gives us a run-down on the wide variety of ribs available, from pork baby backs to country-style ribs; beef short ribs to beef long ribs; plus veal ribs, lamb ribs, and even vegetarian ribs (think celery and bananas). There are delicious, finger-lickin’ recipes for rubs, marinades, sauces, and glazes, along with accompanying sides, desserts, and even drinks—both leaded and unleaded! • FIRST-TIMER’S RIBS: A basic, foolproof recipe that yields competition-quality ribs every time! • COUSIN DAVE’S CHOCOLATE CHIPOTLE RIBS: Sound bizarre? Hardly. Chiles and chocolate are the backbone of the classic Mexican sauce mole poblano. • MILK AND HONEY SPARERIBS: Like many Italian dishes, and unlike most North American ribs, the dish isn’t about spice or smoke or barbecue, it’s about the pork! • SALT AND PEPPER BEEF RIBS: A Texas tradition, based on the very simple notion that when the beef is top-notch and the grill is hot and smoky, you don’t need a lot in the way of seasonings to make barbecue that is world-class. No proper barbecue should be without sides. Raichlen’s Grilled Corn with Barbecue Butter, Molasses Mustard Baked Beans, Smoky Mac and Cheese are stars in their own right. There are even Dessert “Ribs”—Molasses and Spice Grilled Bananas. Finally, in an all-new chapter of BEST RIBS EVER, Raichlen includes complete suggested menus with main dishes like Chicken-Fried Pork Ribs, to sides like Grilled Corn Fritters, to desserts like Smoke-Roasted Peach Crisp, making it the all-in-one, go-to guide for your next summer barbecue! About the Author: STEVEN RAICHLEN is America’s “master griller” (Esquire). 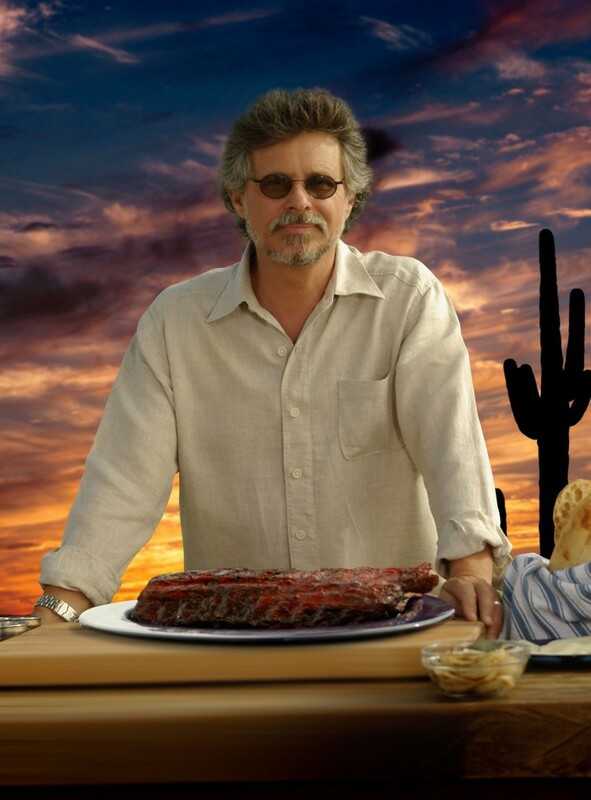 His books have won James Beard and IACP awards and his last, Planet Barbecue!, was a New York Times bestseller. Articles by him appear regularly in The New York Times, Esquire, and numerous food magazines. He founded the sold-out Barbecue University at the Broadmoor in Colorado Springs, and his popular TV series Primal Grill and Barbecue University air on PBS. In June, Forge Books will publish his first novel, Island Apart. He and his wife live in Miami and on Martha’s Vineyard, Massachusetts.